I hear that kind of comment a lot and, frankly, it concerns me. Who would be more willing to support your organization than the people who are already involved with you? Who better knows the importance of the work you do? Deciding you won’t ask—because “we already ask so much of them” or, even worse “they don’t have the money to support us”—is, frankly, insulting. If someone in fact does not have the wherewithal, or feels that they are already giving (in any way) to their max, they will tell you. And mostly they won’t be insulted you asked. 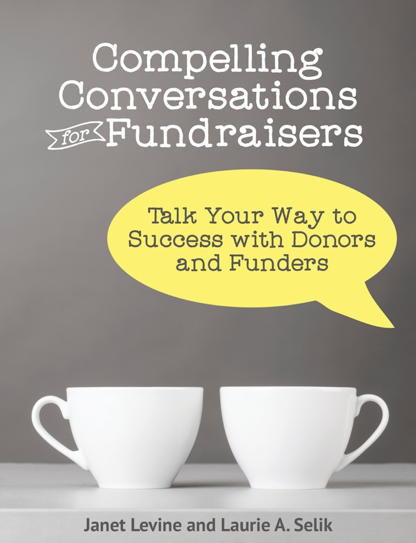 In fact, most people will be flattered—especially if you have really thought about what you are asking for and connected the dots between the needs of the organization and the hopes and dreams of your donor. So many of my clients tell me that their clients could never make a charitable gift—they are too financially stretched. Yet those who do ask their clients to be part of a solution they, more than anyone, know is important, the response is overwhelmingly positive. It may not result in much money but it sure creates buckets of pride. Clients are now part of their own solutions and that means almost as much as what they are already receiving from the nonprofit. Sometimes, of course, the sense that we “keep going back to the well,” is accurate. A nonprofit finds one or several “angels” and doesn’t look any further for supporters. The usual suspects become the only prospects, and this does not bode well for the future. Attitudes must be changed so that the door is opened and more people are invited to the table. Organizations with successful fundraising programs know that fundraising is a partnership. People who give do so because they value what you do and want to help ensure that the work continues. Consider the synonyms for partner: colleague, companion, cohort, equal. If you think about your donors in this way, you will approach them in a different way—not so much with your hands held up but with your arms outstretched. Change from asking them to do something for you to embracing them and inviting them to do something with you. It’s an attitude adjust that will change your world—and your outlook on what fundraising really, truly is. This entry was posted in development, donor centered fundraising, fundraising, relationships and tagged attitude, charitable gift, fundraising, fundraising partnerships, hopes and dreams, partnerships. Bookmark the permalink.